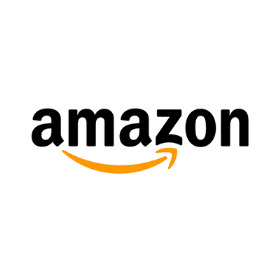 Amazon’s Jeff Wemyss and Oliver Sawers will be sharing the latest information on how digital innovation is fuelling the Amazon business and the opportunities that this presents to existing and potential suppliers seeking revenue growth. The Forum will take place on April 21 and will be held at the Ricoh Arena in Coventry and attendees will be given an update on the progress of the Amazon business, an introduction to innovations which are particularly relevant for the housewares, SDA, home improvement and tools and garden power categories, plus the opportunity to network with the Amazon buying team. Market research experts GFK will be also be presenting relevant updates covering all the key industry sectors and providing an insight into the progress being made by e-commerce, while Clive Daley of mdj2 Associates will talk about the ongoing issue of the exchange rate fluctuations and its impact on the cost of goods post-Brexit. Mr Daley has extensive knowledge and experience from both a retailer and supplier perspective , and will offer his suggestions and practical solutions on how to handle this situation. Another speaker at the forum will be Decco’s chief operating officer, Charlie Lacey, who will discuss the opportunities presented by working with a seven UK-based distribution centres servicing UK High St retailers and garden centres. Applications to attend the forum should be made to Dawn Clarke of the member services team on dc@bheta.co.uk or 0121 237 1130.